Looking for a new way to connect with your students? Dr. Rishi Desai, ICRE 2014’s Friday morning plenary speaker, discusses how personalized learning fits with medical education in the 21st century. 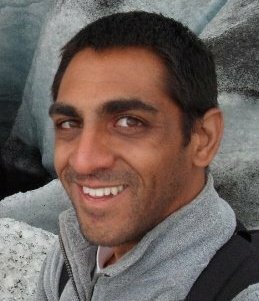 Dr. Desai is a renowned pediatric infectious disease physician and medical educator with the Khan Academy. The traditional model of medical school education hasn’t changed for a long time. Typically, students are given instruction in cohorts, with a particular emphasis on didactic instruction during the first two years. Many students find it difficult to keep up, while others get bored; and the instruction isn’t as impactful without the clinical piece. If we reimagine that approach, a lot of interesting new possibilities emerge. In personalized learning, each student can focus on content that is personally relevant at a given time. One student may focus on heart failure whereas another student may be learning about asthma – choices that connect back to patients that the students are seeing in clinic. The goal is to optimize what, when, where, and how a student learns. In turn, instructors have the ability to repurpose classroom time to do more interactive activities that allow students to apply what they have learned. Here, the goal is to humanize the process of medical education. How can a medical educator incorporate personalized learning into medical school? Throughout my medical school experience, I built important relationships with my peers, my professors, and my patients. If students are able to go online to get a resource that helps with understanding basic medical information, then time in the classroom can be repurposed for higher-order activities. Instructors can work side by side with students on challenging, interactive exercises (e.g. team-based learning, problem-based learning) that require a deep understanding of the content. Learning can extend beyond the classroom and into the spheres through which patients travel – beyond just the clinic/hospital and into a patient’s community, neighborhood, and home. What are the benefits to personalized learning? Personalized learning puts the individual learner in the driver’s seat. It allows students to take ownership of their learning process, to say, I know my strengths and weaknesses. Once students take ownership of their learning, the entire process becomes more engaging and more fun. Personalized learning drives the learning from a human perspective – you see a real person with a problem, and then you can go and learn about it. This also reflects how physicians engage in lifelong learning down the road. By putting an emphasis on interactive learning, patients take center stage. It brings to the fore the very reason why all of us are in the medical profession. Keeping this in mind, I think that there are real opportunities to work on improving how students interact and foster trust with patients. We can work on cultivating physician skills like eye contact, manner of speaking, tone of voice, and active listening so that patients get the most out of the clinical encounter. This is one more way in which the classroom can be really powerful. You’re a plenary speaker at ICRE 2014; what will your topic be about? Khan Academy has been making some exciting progress in offering a world-class education resource for students interested in improving their math skills, and has steadily offered content on a wide variety of topics including economics, art history, and health/medicine. The platform now offers a rich experience for our international users, with a robust offering of both videos and questions. Khan Academy has taken on the challenge of developing a solid framework for “mastery” that applies principles of spaced repetition and context switching. Students are encouraged to work at their own pace to achieve and maintain a level of mastery in content areas of their choosing. Instructors or “coaches” are invited to work with students to offer guidance and suggestions as they progress. The learning is data driven, which means that the analytics are available as feedback for a student to identify how to continue to work on pushing out their “learning edge”. In health/medicine we are working towards generating content that can be made available to student learners as a free resource. By allowing students to use the online space to learn some of the key concepts, educators can focus on offering students mentorship, apprenticeship opportunities, networking opportunities, and communication skills training. By allowing educators to have freedom and flexibility to train students interactively, the content becomes easier to apply in a real-world setting. This makes learning more fun and impactful. This is the sort of “world-class” education that Khan Academy aims to offer anyone, anywhere.